01. 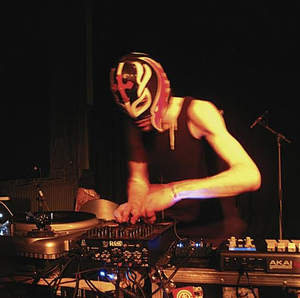 Co-founder of the Community Skratch Games festival, and founder of the Unscene label/collective (see yesterday’s YMLT), Naive Ted is arguably one of the cornerstones of independent music in Ireland, in addition to his own ever-expanding body of increasingly experimental beat-tapes and production credits. 02. We’re reliably informed the follow-up to 2015 magnum opus The Inevitable Heel Turn is on the way. 03. Streaming above is a video released on the quiet over the post-Xmas/pre-New Year fug, for single Post-Factual (That Old Chestnut). 04. Appearing next at Quarter Block Party on North Main Street, Cork, from February 5th to 7th, where he’ll be performing all-new material which may or may not be new-LP-related. More info here. Thoughts: More oddball beats and pieces with a reliably lo-fi feel, albeit a tad more ’90s-feeling in places. Looking forward to hearing where this might lead. Posted in Music, You May Like This and tagged beats, hip hop, Ireland, Limerick, music, Naive Ted, new Irish music, new music, Noises at 11:19 am on January 4, 2017 by Broadsheet.